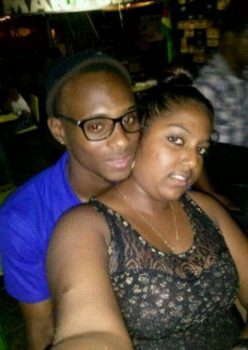 A Golden Grove man was on Wednesday released on $100,000 bail after he denied causing the death of his common-law wife, who died after they fell from a motorbike along the East Bank of Demerara (EBD) public road. Forklift operator Laurent McGarrell, 24, of Golden Grove, EBD, appeared before Chief Magistrate Ann McLennan in Georgetown and pleaded not guilty to the charge that on July 23, 2017, at Providence, he drove motorcycle CJ 1957 in a manner dangerous to the public, thereby causing the death of Gaitri Sahadeo. The accident occurred around 12.30 am along the eastern carriageway of the Providence, EBD Public Road, where the motorcycle suffered a blowout. Sahadeo, who was the pillion rider and who was not wearing a helmet, reportedly sustained injuries to the head. 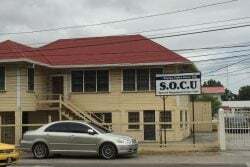 She was picked up in an unconscious condition and taken to the Georgetown Public Hospital, where she succumbed. 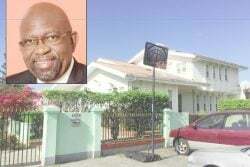 McGarrell was released on bail by the Chief Magistrate and ordered to return to court on August 8 for his next hearing. He also appeared before Magistrate Sunil Scarce to answer to five other charges stemming from the accident. He was charged with driving while his blood alcohol level was over the prescribed limit; driving without a driver’s licence; driving without a third-party insurance; driving without safety helmets for himself and his wife; and riding the motorcycle without consent from the owner. During the hearing, Magistrate Scarce granted McGarrell $20,000 bail for each charge and adjourned all the matters until August 8. As a condition of his release, McGarrell was ordered to report to the Providence Police Station every Saturday until the determination of the matter. He was also ordered to undergo an examination by a psychiatrist, after his strange behaviour in court on Wednesday.